I have my Ls1 from Thompson Motorsports 11.2.1 compression Forged pistons, ls2 timing chain, ls7 lifters, arp rod bolts, Prc 2.5 heads, ls6 intake, PAC double valve springs, 233/239 cam 600 lift cam fast 36 lb injectors Texas speed push rods, and I'm sure there's more I'm forgetting. I have the original Texas speed sheets race stars, et street slicks, headers with x pipe. 3:73 gears with a mini spool, midwest chassis tunnel mount torque arm, tubular adjustable lower control arms. I have Muscular Dystrophy and have trach and I'm on a ventilator and in a wheelchair. 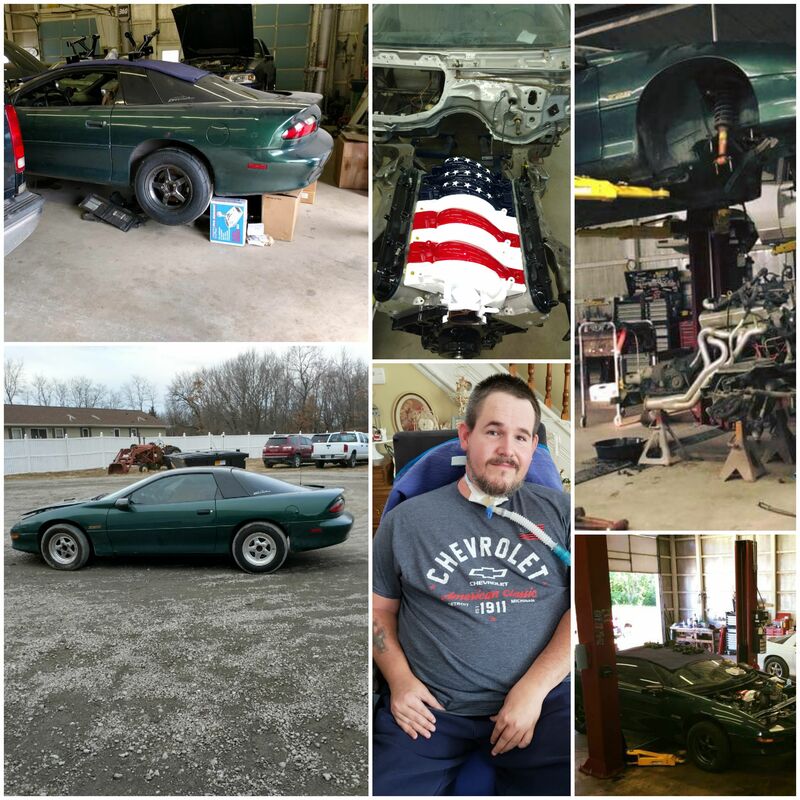 I have a 95 z28 camaro I'm doing a LS swap to it I love cars and I dont let the MD slow me down at all.